Politics & Pizza might not often be referred to in the same sentence. 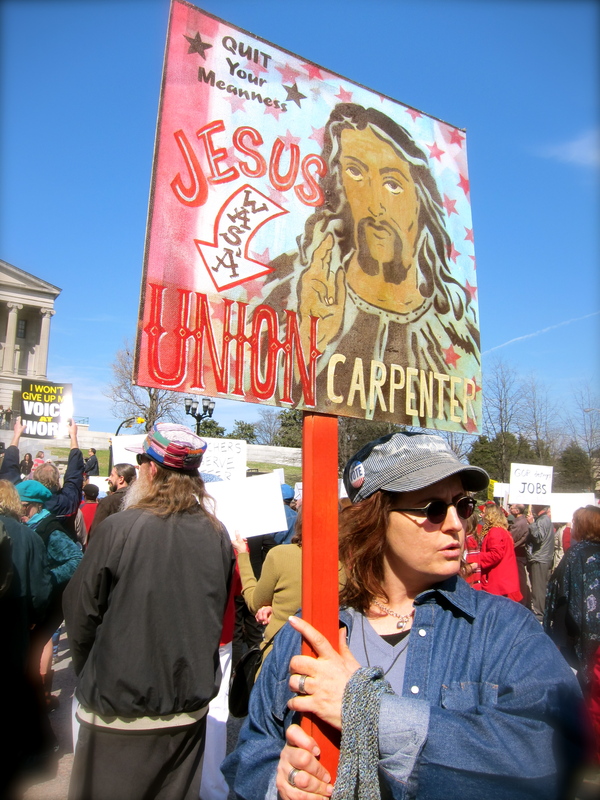 Today I joined in a political rally in downtown Nashville to support the workers in Wisconsin and the World. It was a festive atmosphere, a hopeful gathering of people from all over the area coming together to support each other on one of the most beautiful days of the year. Young and old mingled together, lots of long time friends and new friends coming together for a common cause. 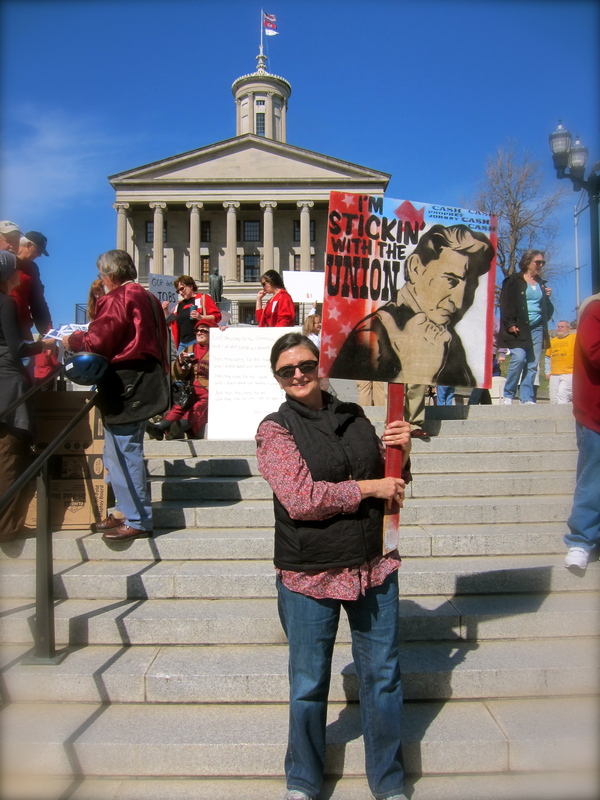 Here I am in front of the Tennessee State Capitol holding a fantastic sign made by my friend & artist Sheila B. The next two photos are my daughter Whitney and Sheila B in the crowd with signs. I have been to a couple of political gatherings with Sheila and her signs always take the idea of a political sign to a new level. They are irreverent, full of truth & irony, but they always make perfect sense. 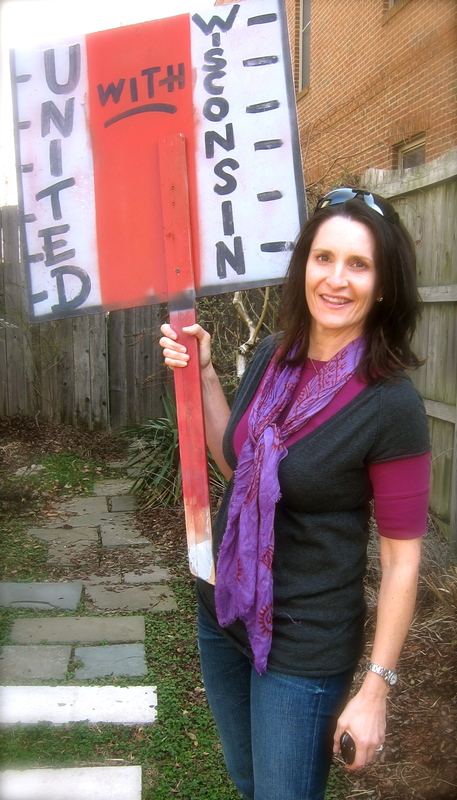 Sheila B with another of her art-signs. Whitney’s holding a sign to show us the back. She is married into a very fine family from Cazenovia, Wisconsin, the Durens. Unless you have been hiding out under a rock somewhere for the past few days you have to know that there is a little pizza restaurant in Madison Wisconsin that has been keeping the folks fed who are making their stand in the State House. If you want you can even call from anywhere in the world and using a credit card have pizzas sent over. My dinner late this afternoon was inspired by all of these interesting events coming together. 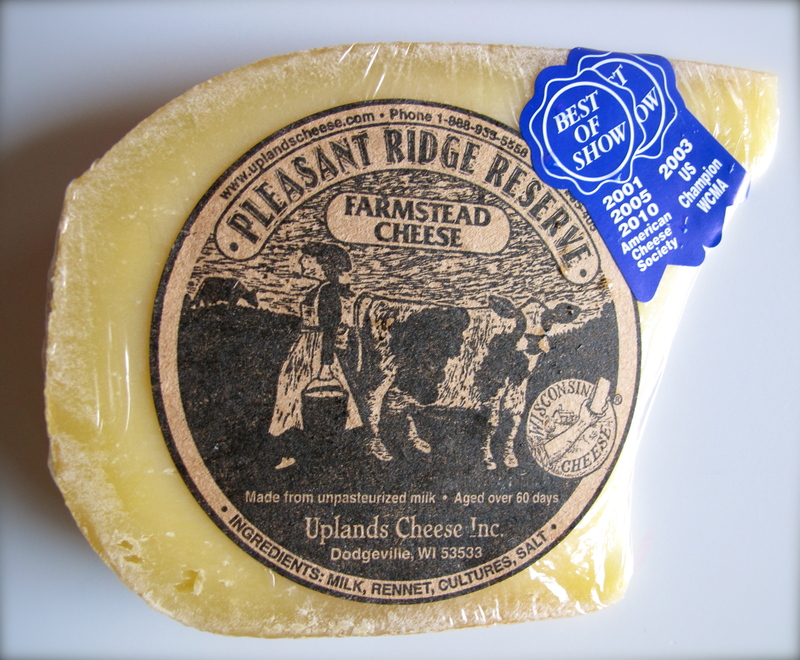 These are two great cheeses from Wisconsin. 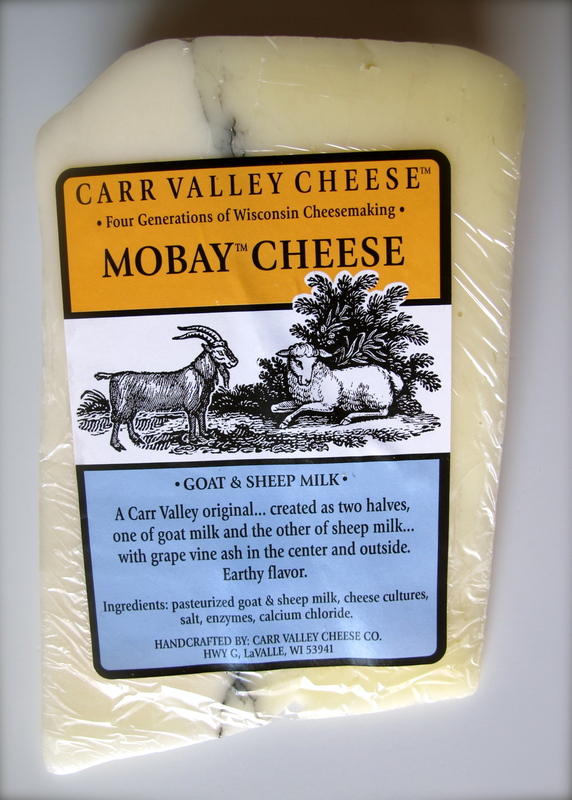 But you can make this with any of your favorite cheeses. 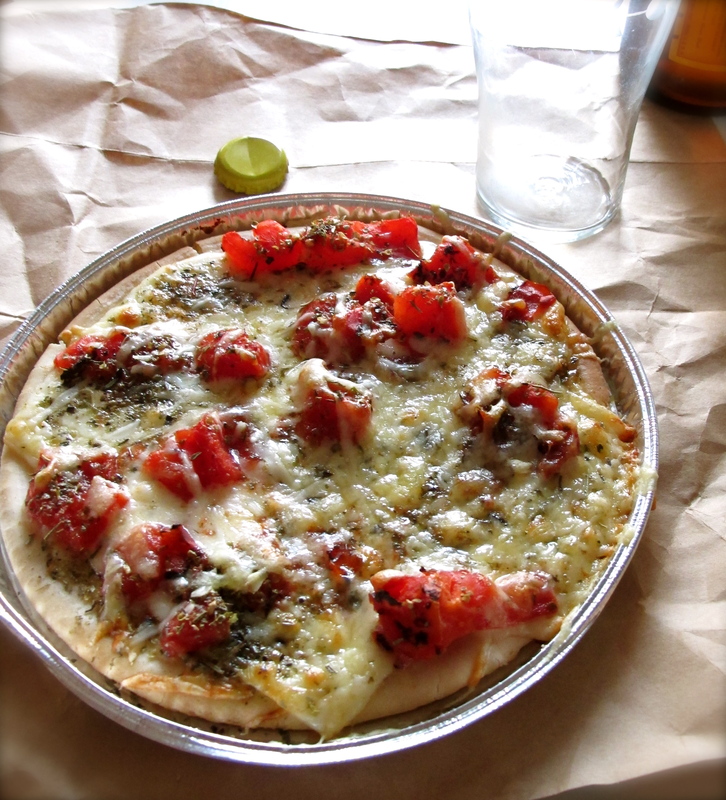 Place pizza dough on a baking pan. Top with a bit of grated cheese. 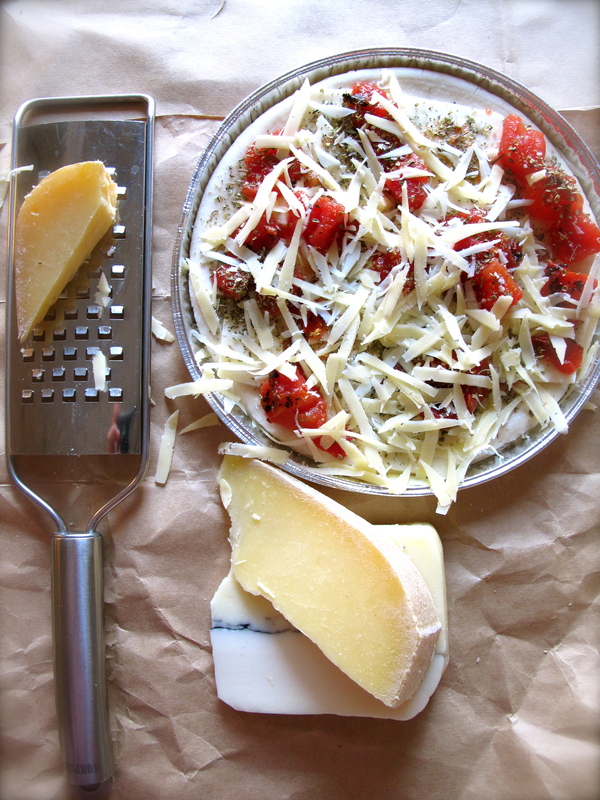 Top with fire-roasted tomatoes & a sprinkling of herbs. Generously grate additional cheese on top. Bake for about 18 minutes or until hot & bubbly. 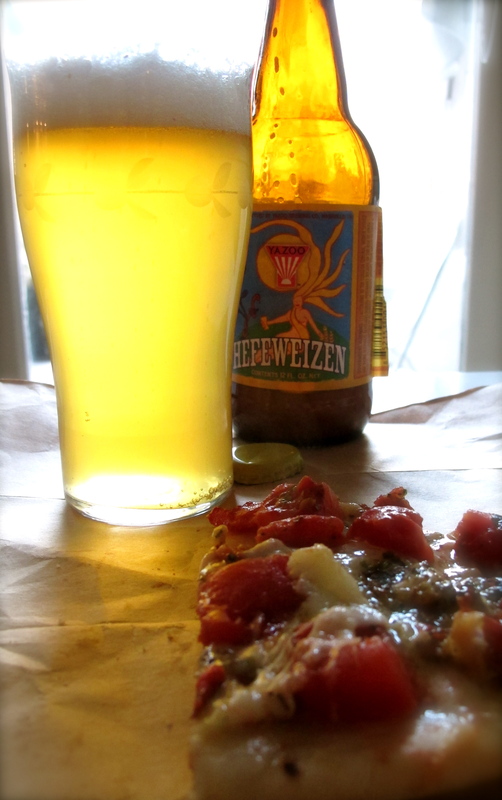 I enjoyed my “political pizza” with a chilled Hefeweizen beer from Nashville’s Yazoo Brewery. ” Power to the Pizza! 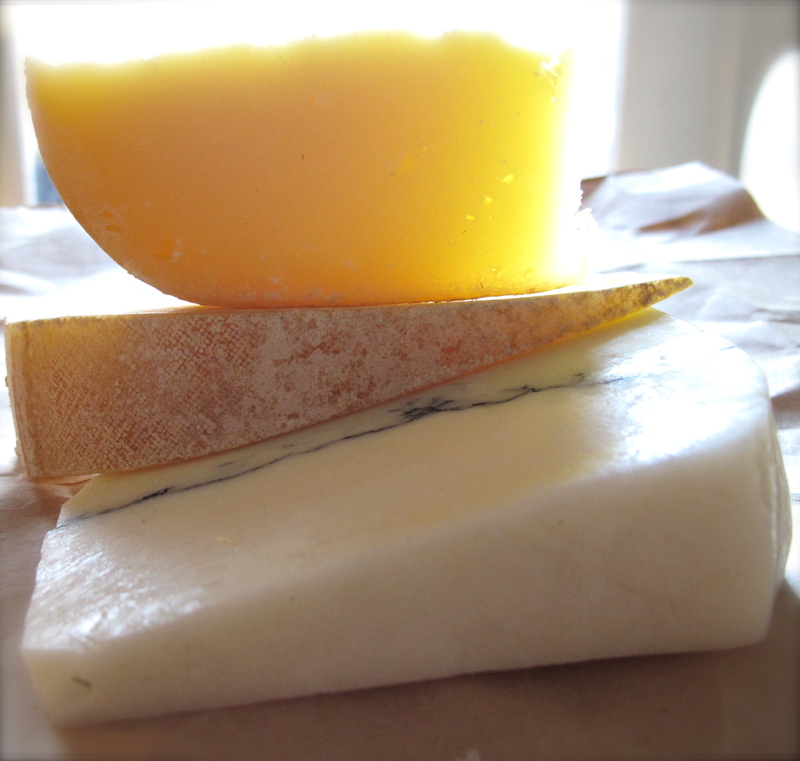 I do love a good cheese and a good struggle even more! Teresa, sorry I missed getting out there for this! Call me when you know of more to participate in. Yes, the signs are wonderful… and the pizza too. I’ll stop by Lazzaroli’s for some dough and make it this week. Can’t wait! Melissa, great to hear from you as always. And, as always, let’s try to get together this year! you look great with a sign!!! miz sheila b always makes spectacular signs.